Staycations, also known as holistays, are an excellent option for those looking to “get away” without having to hop on a plane. Staycations are when people or families take a vacation without leaving their home city. Why would anyone want to stay home for vacation? Well, we’re glad you asked. RewardExpert delved into the trend of staycations and we learned quite a bit. For one, they’re very economical compared to traditional vacations. Without transportation and accommodation costs, people spend significantly less on their vacations, which is a wonderful opportunity for those looking to save a dime or two. Furthermore, families and individuals who go on staycations can explore their home city in ways they were unable to do just by living there. They can step in the shoes of a tourist and experience their hometown with a fresh perspective. You can finally do all the things you’ve been meaning to check out, but haven’t gotten around to doing. Families take the time to experience their city’s amenities, like beaches, public pools, cafes & restaurants, nature parks, beauty salons, and museums. However, some hometowns offer more to its residents than others, making those cities better candidates for staycations. Our research shows a good staycation city offers a wide variety of entertainment, recreation, and dining options while maintaining a stress-free, wallet-friendly environment. We compared 100 of the largest cities in the United States and evaluated them on 29 key metrics broken down into three categories: Recreation, Food & Entertainment, and Rest & Relaxation. Using this data we determined a full ranking of the best cities in the country for staycations. 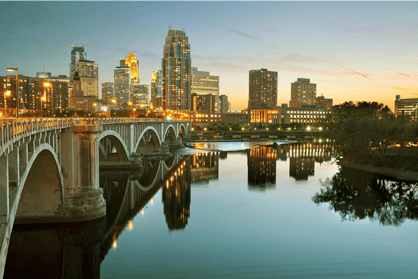 If you live in Minneapolis, go no further than your front yard for your upcoming vacation because Minneapolis is first on our list of the best U.S. cities for staycations. Our results show Minneapolis balances a relaxing environment while still offering a breadth of recreational activities. Minneapolis ranks high on all of our recreation indicators, including nature parks, gardens, museums -- all of which are great to explore in the summer when the weather warms up. Additionally, Minneapolis is easy to get around. It’s incredibly bike friendly, walkable, and the public transit will take you to most parts of the city. Pittsburgh ranks second on our list of the best cities for staycations. 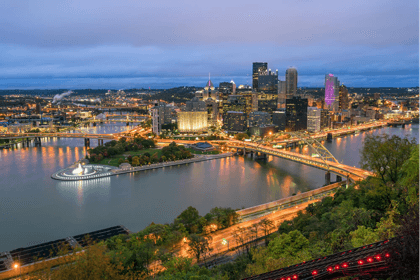 In Pittsburgh, you are close to hiking, nature parks, and rivers, while also nearby are some of the country’s best restaurants, art galleries, and museums. Furthermore, Pittsburgh is relatively inexpensive when compared to many of the places people visit on vacation, so a staycation would be a great opportunity to save money. 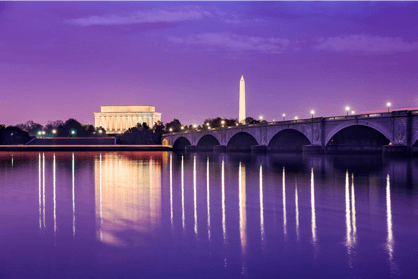 Our nation’s capital ranks third on our list. Washington, D.C. has more museums and historical sites per capita than any other city in the country. D.C. residents may have already seen the most popular historical sites and monuments, but a staycation offers an opportunity to check out the lesser known, but notable museums. Given that many of the museums offer free admission, hanging back for vacation can certainly be wallet-friendly. You don’t have to leave D.C. to have an amazing experience. Hundreds of thousands of people visit Orlando every year, and that’s enough to know that Orlando is an amazing vacation destination. 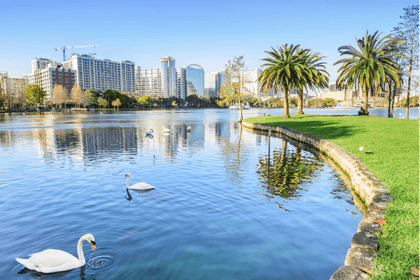 In addition to being the amusement park capital of the world, Orlando has beautiful weather all year round, top-notch golf courses, stunning beaches, and world-class culinary offerings; all of which helped Orlando earn its spot as fourth on our list. There’s so much to see and explore in Orlando; the family that chooses to take a staycation there will have a great time. Tampa has it all: beaches, warm weather, pools, nature parks, hiking. 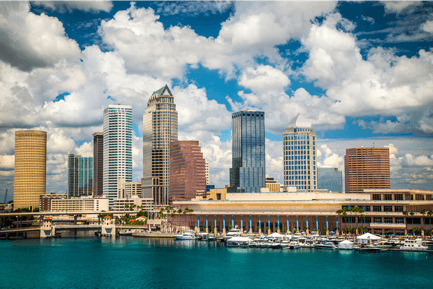 Fifth on our list, those who live in Tampa will have a great time on staycation. 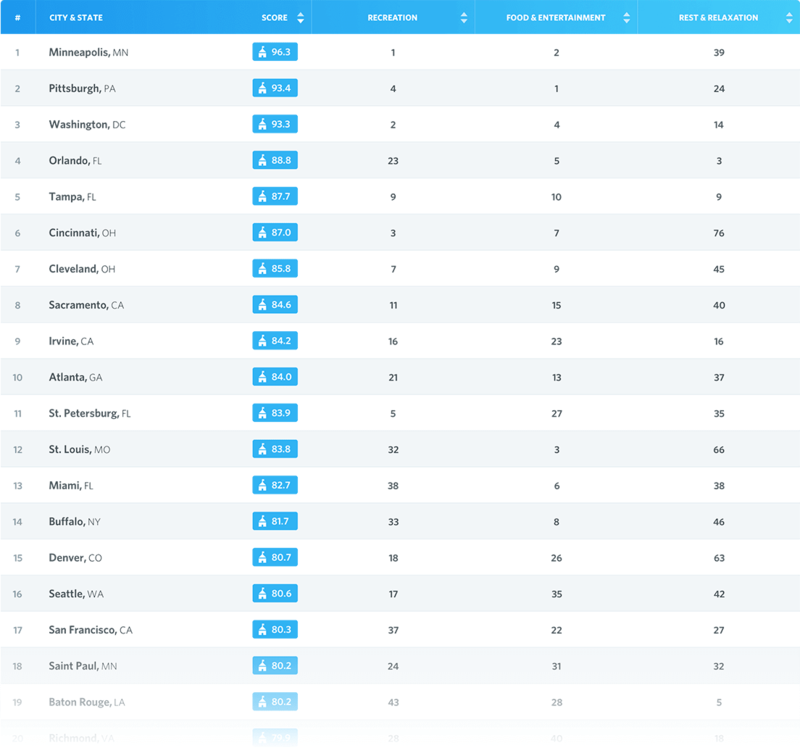 Of the cities we analyzed, Tampa ranks 6th in regard to restaurants per capita. According to our data, there are 136 restaurants per ten thousand residents in Tampa. It’s also affordable, so those who stay will be saving money just by going on a staycation. Those who live in Cincinatti should consider a staycation. There’s a wide variety of things to do and it’s so inexpensive relative to similarly sized cities. According to data from The Trust of the Public Land, Cincinnati has the most nature parks per capita. There are 2 nature parks per ten thousand residents, which ranks first of all the cities we analyzed. It also ranks second for the largest number of public pools per capita. Work and other obligations can keep residents from enjoying all the city has to offer. 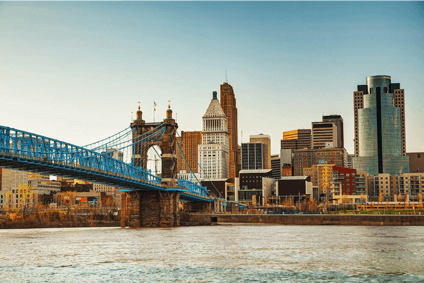 Cincinnati’s many recreational opportunities offers its citizens an awesome time without traveling. 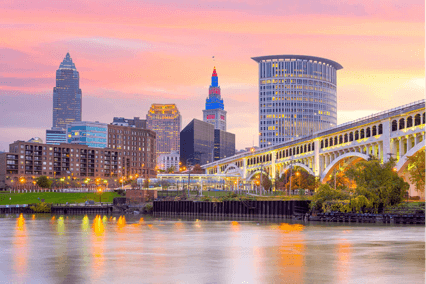 Cleveland, Ohio is 7th on our list. Cleveland is known for its sports teams; locals can put their funds towards a hot ticket to see LeBron James shoot hoops, instead of springing for airfare to a far off destination. Cleveland has no lack of culture, too. Did you know that Cleveland’s Playhouse Square Center is the second largest performing arts center in the country behind New York’s Lincoln Center? Let’s not forget the Rock and Roll Hall of Fame! Lastly, data from the Trust for the Public Land shows that Cleveland has the most public pools per capita. There’s no shortage of ways to cool off in Cleveland given its many public pools and its beaches alongside Lake Erie. 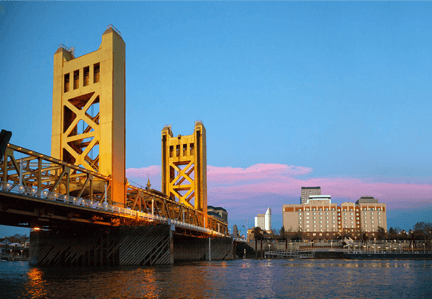 Eighth on our list, Sacramento is a great city for staycationers looking to save a buck. Despite its proximity to some of California’s top destination cities, Sacramento is much more affordable than places like San Francisco, Oakland, and San Jose. Additionally, the weather is wonderful for a good portion of the year. According to Kelly Norton’s pleasant days per year, Sacramento has 183 pleasant days per year. Check out the Sacramento French Film Festival, a cultural event that occurs each July. The festival showcases U.S. premieres of French films and shows classic French masterpieces. 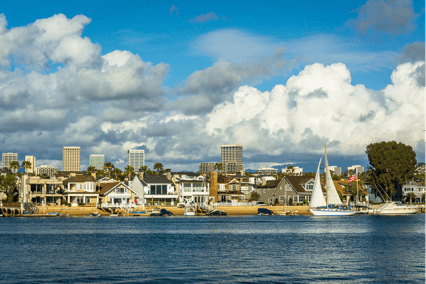 Irvine, California is ninth on our list due to its wonderful weather and relaxing atmosphere. Our research shows that Irvine has a ton of nature parks given its size, coming in fourth for number of nature parks per capita. Take your time off to explore the San Joaquin Wildlife Sanctuary! It’s a park with 300 acres of wetlands that you can stroll through and observe the animals. Or you can give your legs a stretch and go for a hike on the Quail Hill Trailhead where you can learn about your surroundings with a free self-guided cell phone audio tour. Tenth on our list is Atlanta, Georgia! Atlanta ranks second of all cities we analyzed in regard to restaurants per capita. Foodie residents who staycation in Atlanta will have ample opportunity to eat at some of the incredible restaurants the city offers. 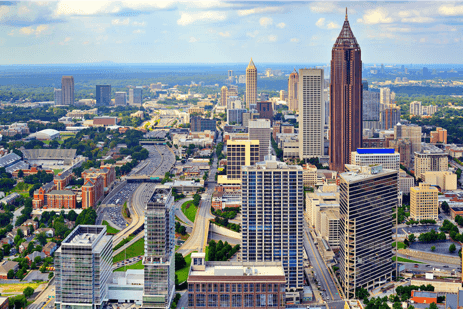 Additionally, Atlanta ranks fifth and sixth respectively in regard to public pools and public tennis courts per capita, giving residents plenty of opportunity to work off their dinner. This list is determined by an aggregate metric of three indicators: theaters & museums per capita, and price of movie tickets. This list is determined by an aggregate metric of eight indicators: basketball hoops, disc golf courses, golf courses, ice rinks, ball diamonds & skate parks per capita, plus cost of bowling and bikeability index indicators. This list is determined by an aggregate metric of three of our indicators: beaches & pools per capita, and pleasant days per year. This list is determined by an aggregate metric three of our indicators: nature centers, community gardens, & playgrounds per capita, plus percentage of parkland in city and walkability index. RewardExpert spoke to Jamie O’Donnell, event & lifestyle expert, from Jamie O’ + Co for her insights and advice on successful staycations. What are some of the benefits of taking a staycation? Easy Planning – Staycations usually eliminate the need for complex travel plans or airport stress than on traditional vacations. 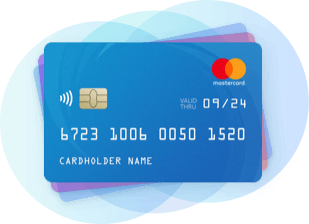 And, you are likely more familiar with where you would like to stay thus reducing the need for a lot of online research in looking at options and reading reviews. You also know the peak and low travel seasons for your area so you can pick a date for your staycation that offers you the best rates and the least crowded tourist periods. You know what the “good” attractions are and where to spend your money based on your past experience or the local “buzz” from friends or community. What aspects make some cities better for staycations than others? What are some tips for making the most out of your staycation? Although you are likely in your hometown, plan some things you have never done before like an Airboat Ride or swimming with the manatees. Things you could go and do on any weekend but never seem to make the time. 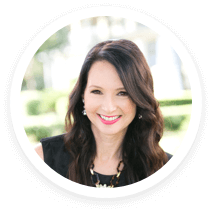 Really make a plan like you do on a traditional vacation to have some vacation experiences and put yourself in the vacation mindset of trying something new! Use some of the money you are saving on not having to purchase airline tickets and to rent a car to splurge on an amazing restaurant experience or pamper yourselves with a much deserved spa day. Go ahead and treat yourselves to those frozen umbrella drinks at the pool or reserve and pool cabana. Little treats like those will shift your mind to vacation mode and let you relax and feel like you are on vacation and truly away from home! To help Americans discover which U.S. cities are the best staycation spots, RewardExpert compared the top 100 most populous US cities across three key dimensions: 1) Recreation, 2) Food & Entertainment, and 3) Rest & Relaxation. We first identified 29 relevant metrics, which are listed below with their corresponding weights. Each metric was given a value between 0 and 100, wherein 100 represents the most favorable conditions for vacationing and 0 the least. Finally, we calculated the overall score for each city using the weighted average across all metrics and ranked the cities accordingly. Sources: Data used to create these rankings were collected from the U.S. Census Bureau, the Bureau of Labor Statistics, Yelp, Trust for the Public Land, Bike Walk Alliance, Areavibes, Walk Score, and Kelly Norton.